If you are looking to hire electric forklifts, there are both short and long term hire options available. The hiring of this style of equipment is increasing in popularity, because of the many advantages it can provide to businesses across Essex and Suffolk. 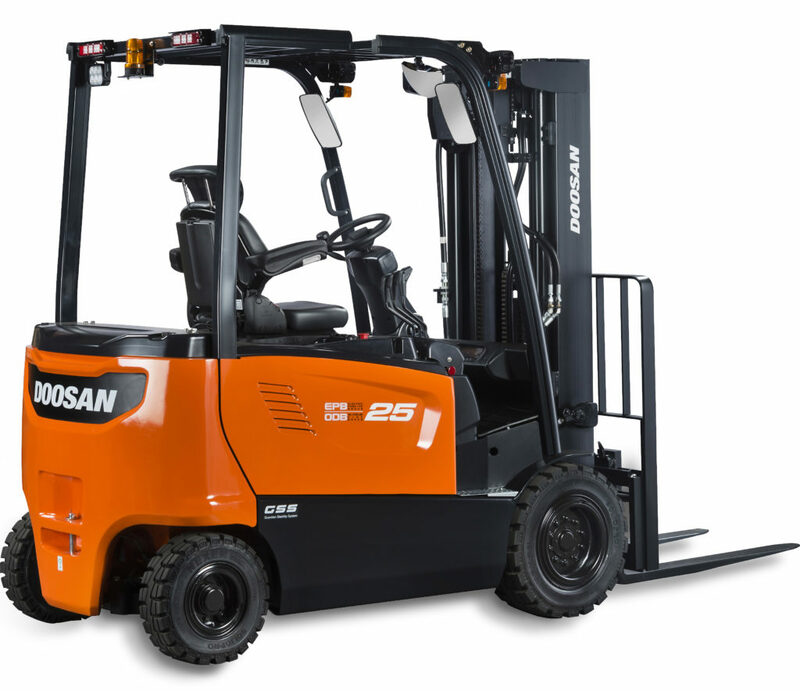 Our extensive range of Doosan electric counterbalance and reach trucks range from 1.3 to 3.5 tonnes. Which means if you are looking to hire electric forklift trucks, we will have a machine to suit your needs. Whatever the job and application, our forklifts are available for both short term and long term hire, from one day to six years. Flexibility is at the heart of our operation, so we always strive to ensure we have a vehicle available to suit a variety of business needs. There are many reasons to hire electric forklifts. If you need a vehicle for a small task, we can supply one for a period of just one day. For longer-term tasks, our short-term hire contracts can loan you a machine for up to one year. If your company only needs occasional use of a forklift, this is the perfect solution as it will significantly reduce your machinery investment costs. For companies interested in the hire of electric forklift trucks for more than one year, long-term contract hire can provide a variety of benefits. Many businesses choose this option because it is possible to hire a machine for up to six years and spread the cost over the hire period. A forklift can be a large investment for many companies when purchasing, so long-term hire offers a great solution. For your peace of mind, we offer our trucks with the option of full maintenance packages, so that you know the exact costs of the machine up front. We have a range of both new and refurbished electric trucks, so you will be able to pick the ideal machine for your needs. We specialise in fast and low-cost transport of our forklifts across Suffolk, Essex and further afield. We have two loader transporters which enable us to carry up to six forklifts at once. This means when you place an order, we can almost always deliver to your site within 24 to 48 hours. Our range of Doosan electric forklifts have been designed with reliability, productivity and safety in mind. The modern machines use the latest active control technology to ensure the motors have maximum efficiency, which results in reduced operational downtime and enhanced driving performance. The forklifts also feature advanced technology such as oil cooled brakes and metal components for durability. This AC technology combined with the high-specification components puts these forklifts at the forefront of the industry for both performance and design. If you are looking to rent electric forklifts, we will be able to discuss the various possibilities available to you. Our team are on hand to guide you through the rental process and answer any queries you may have about the capabilities of the machine.